Holidays are just around the corner, there are only two months left to celebrate Holy Week and many Spaniards take advantage of those holidays to make a trip looking for a new adventure. If you have not planned any trip yet, you are still on time to organize a perfect vacation break. Internet has become the best option to plan trips quickly, more economically, and also, without leaving your home. There is a wide variety of travel sites to organize trips online, some more popular than others. Next, we will mention the 5 best travel sites to find trips on the Internet. 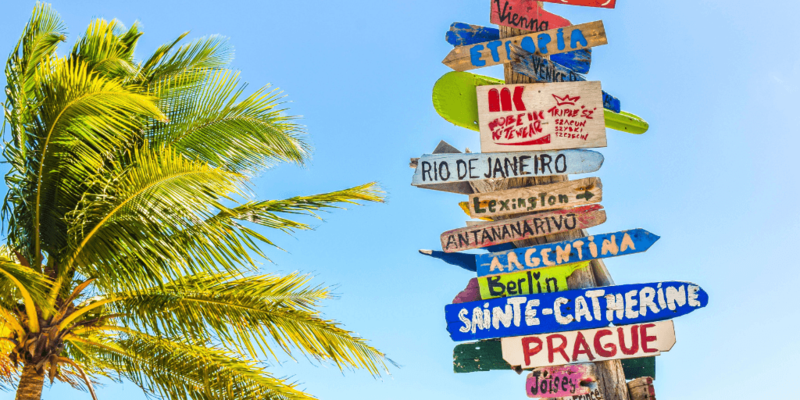 We have compiled the 5 best travel sites you should know to find the best deals. If you want to find a trip quickly and efficiently, Skyscanner is one of the most outstanding travel sites in the world to search for trips on the Internet. This website tracks dozens of airlines websites and travel agencies to find the best prices. It also allows you to filter by prices, schedules, airlines, choose roundtrip flights with different companies and find a destination based on your budget. Once you found the best deal, Skyscanner redirects you to the website to make the purchase. 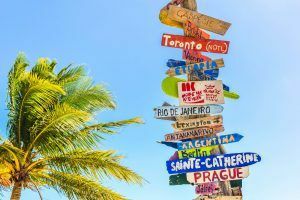 Another advantage that Skyscanner has over the competition is that it lets you know at a first glance, which are the cheapest days and months to travel. It also offers the option to send an email, as an alert, informing if the prices of the flights you are interested in have dropped. Many people do not know that the “giant” of Google has a service dedicated to flight tracking: Google Flights. Like other sites to find trips, you must select an origin and a destination, including airports and dates. It offers you the possibility to choose one-way or round-trip option, in addition to flying to different cities if you are thinking of visiting several countries. You can also filter by airlines, prices, schedules, connections flights and luggage policy. Google is responsible for showing all the options, the first under the name of “best one-way flights”, ordered by price and by connections. When you select the round-trip flight, it automatically shows you the rest of the return options. It is one of the best options to find cheap flights online. Another powerful travel search engine on the Internet is Kayak. It allows you to search and find cheap flights by indicating on a map the price of the flights that are available for an airport of departure. Kayak searches hundreds of travel sites and finds the information you need to choose the flight, hotel or rental car at the most economical prices. If you want to travel around Europe and have a limited budget, choose Kayak to see in advance the cheapest flights for a given date. Also, it compares the trip options for a whole month at a price table, so you can choose the cheapest days of the month to travel. If you want to save up to 70% on hotel bookings, Hoteltonight allows you to book last minute hotels at fairly cheap prices. It is the perfect option for those who like to improvise on their trips, since it allows you to search and make a reservation for the same day until two in the morning. In addition, it offers information related to the additional services of the hotels, as well as the review of users for each hotel. Hoteltonight is available for free for Android and iOS. From all of the travel sites to search for trips online, Easyjey may be one of the most inspiring. Thanks to your “Destinator” search engine, Easyjet shows you on a map several alternative routes available for a certain budget. In addition, it has a price schedule that tells you the days in which you can travel at a cheaper price. The app shows other users ideas of where to go according to a budget, and also choose a destination based on the money that the person wants to spend on the trip. Each destination includes a link to make the reservation or information guides about the place. Start planning your next trip and help yourself to find the best flights and hotels. Choose your destination and organize it in a couple of hours!